Sept. 24, 2010 -- Born in Budapest, Hungary, from a humble background, the sisters came to the United States and created an entertainment sensation. After conquering Broadway, they headed to the West Coast, and eventually seemed to be famous just for being famous. They regularly appeared in the gossip columns, and were well known for the men they were seen with, and the wealthy men they married. The Gabor sisters? 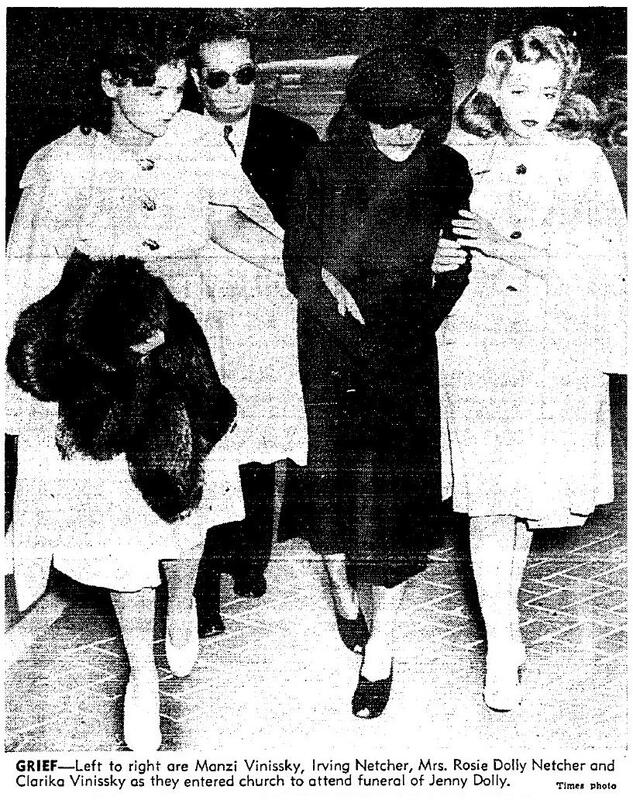 No, these twins arrived a few decades earlier, and combined the best -- or worst -- of the Gabor sisters and the Hilton sisters, with just a dash of Kardashian. Had they been born about 100 years later, they would have been appearing regularly on the covers of the magazines at the supermarket check-out, and would almost certainly have had their own reality TV show. 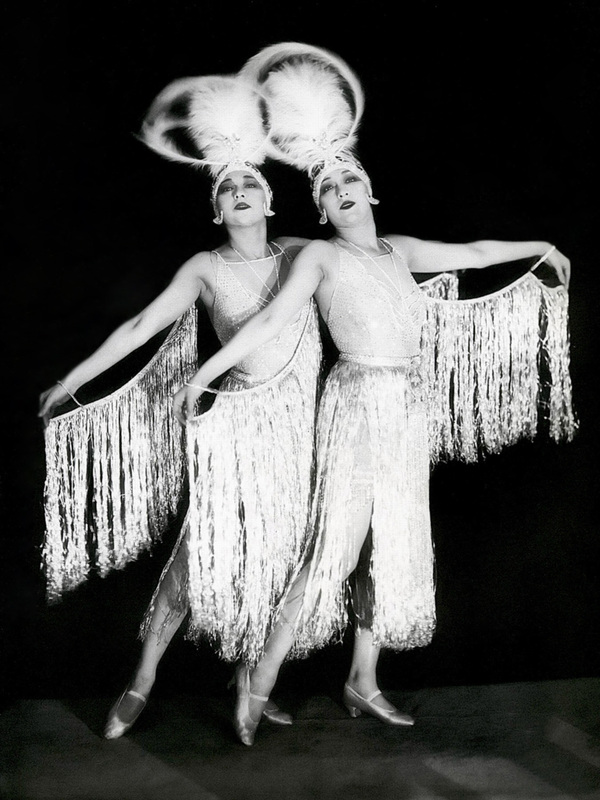 They were the dancing Dolly Sisters, young stars of the Ziegfeld Follies on Broadway and the toast of high society in New York, London and Paris throughout the 1920s. In Hollywood, they were friends with Rudolph Valentino and Charlie Chaplin. In London, they attracted the attention of the young Prince of Wales (the future King Edward VIII) and King Christian of Denmark. Their every move made the gossip columns, their affairs made headlines, and their several marriages to extremely wealthy men were front-page news. They were born Yansci (Jennie) and Roszika (Rosie) Deutsch in Budapest, Hungary, on Oct. 25, 1892, the twin daughters of Julius and Margarethe Deutsch. They looked so much alike when they were born that even their mother couldn't tell them apart. The twins developed an early love of dancing and the theater. By the time they were 8 years old, they were copying the dance routines they had seen on stage and giving performances at home for their friends. In 1905, the family moved to New York City and the girls took dancing lessons. A choreographer described them as "cute as dolls," and they began performing as the Dolly Sisters in small-time venues and vaudeville stages across the United States. By the time they were 15, they were performing in chorus lines in New York musicals, eventually making it to Broadway. Florenz Ziegfeld saw them perform, and hired them for the 1911 version of his "Ziegfeld Follies," in which they performed as Siamese twins (a routine that remained part of their act for the rest of their careers). The Follies featured the sisters for several years, and made them international stars. The Follies was known for presenting beautiful women, spectacular sets and breath-taking costumes and production. 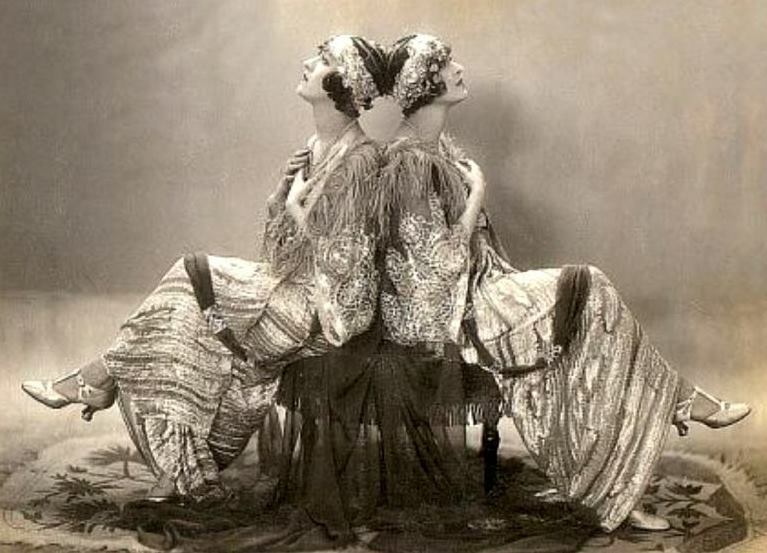 Even so, the Dolly Sisters were something special, perfect mirror images with exotic beauty, majestic costumes and precise, faultless and flamboyant footwork. Rosie married songwriter Jean Schwartz in 1913, and Jennie married comedian and singer Harry Fox the following year. The couples rented adjoining apartments in Manhattan. (Both couples divorced in 1921.) 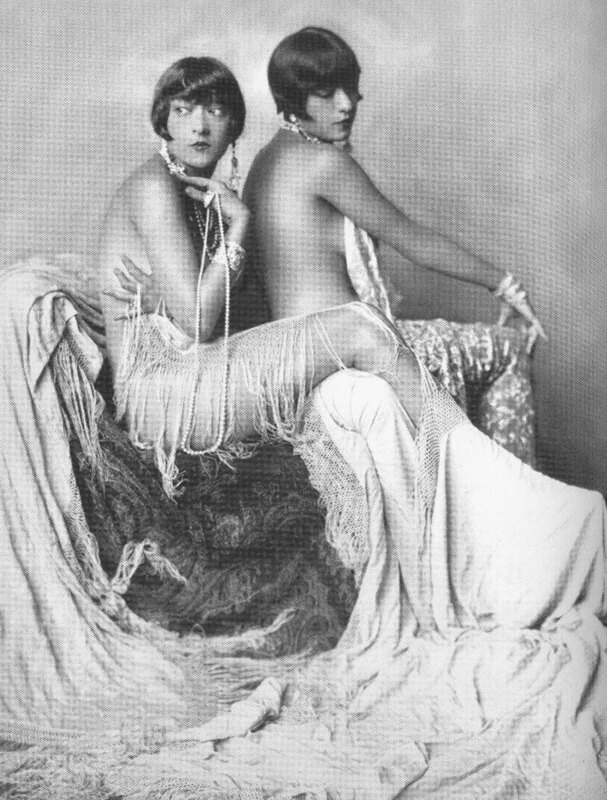 As the Dolly Sisters achieved stardom, they also acquired an almost insatiable appetite for expensive jewelry and high-stakes gambling. Millionaire financier "Diamond Jim" Brady showered them with jewels. They came to Hollywood and starred in "The Million Dollar Dollies" (1918), a film written for them. In 1920, they headed to Europe, prepared to conquer another continent. They were feted at parties in London and Paris, and spent time gambling on the French Riviera. 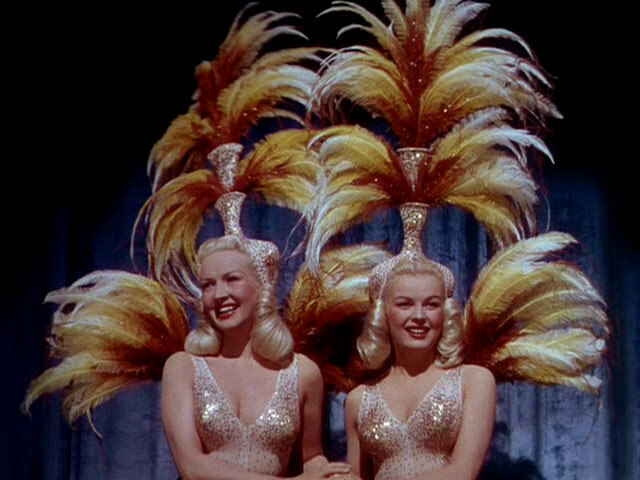 Their performances in Europe featured the twins in increasingly spectacular costumes, prompting one critic to describe the Dolly Sisters as "worth the price of admission just to look at." The following year, they conquered France, with a series of popular shows in Paris, where they continued to work through 1927, between their gambling excursions to Monte Carlo and the French Riviera, and occasional visits and shows back in the United States. And, of course, they enjoyed the attention they received from extremely wealthy men. When Harry Gordon Selfridge, millionaire owner of a London department store, met Jennie -- she was 33 and he was nearly 70 -- he was instantly smitten. Although she rejected his many marriage proposals, he romanced her with furs, jewelry and gifts for 10 years, spending millions and nearly driving himself into bankruptcy. 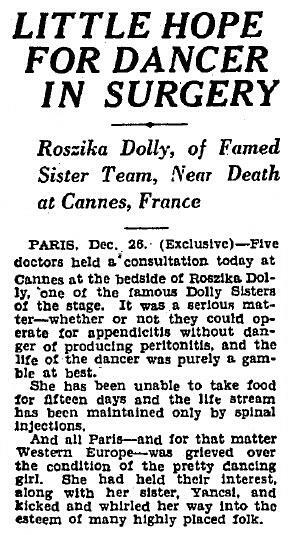 In December 1927, Rosie was stricken with a serious case of poisoning, complicated by appendicitis, and she was not expected to live. She did recover, and the Dolly Sisters announced their retirement from performing. Jennie bought a chateau near Paris and opened a couture shop on the Champs-Elysees. She also adopted two 5-year-old girls in Budapest in 1930 -- Manzi and Clarika -- and hoped to train them as dancers and present them as the next generation of Dolly Sisters. As Jennie led a relatively quiet life in France, Rosie announced her plans to divorce Mortimer Davis Jr., and marry Irving Netcher, the newly divorced son of a Chicago department store owner and the brother-in-law of actress Constance Talmadge. Rosie and Davis were divorced in September 1931, and she married Netcher in New York City in March 1932, with Mayor Jimmy Walker performing the services at the Waldorf-Astoria Hotel. A year later, on March 3, 1933, Jennie's chauffer-driven limousine skidded off the road near Bordeaux at 75 miles per hour and slammed into a tree. Jennie suffered internal injuries, three broken ribs and a punctured lung, and her face was severely cut by glass from the broken windshield. She was in a coma for five days, but recovered. Jennie had 15 operations over six weeks to restore her face, and she was forced to auction off most of her jewelry to pay for her medical treatment. Not only were the jewels -- said to be the largest private collection in the world -- sold for one-fourth of their estimated value, but Jennie was later hit with a substantial fine from the French government for failing to pay taxes on the proceeds. On June 29, 1935, Jennie married attorney Bernard Vinissky, and moved to Chicago. Rosie didn't attend the ceremony as she was in the middle of a four-year world cruise with Netcher. 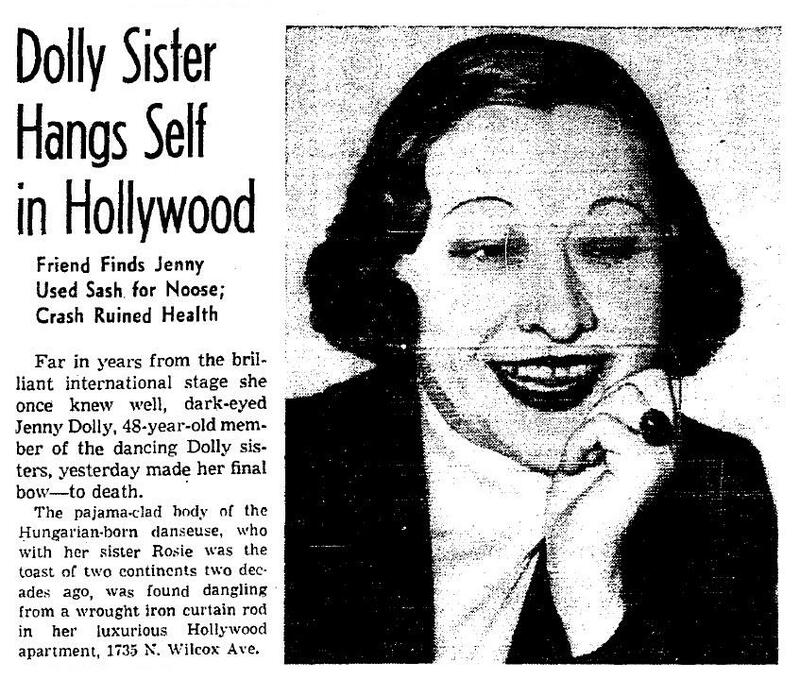 Jennie Dolly was visiting Los Angeles with her two adopted daughters, hoping to launch their dancing careers, when she hanged herself from a wrought iron drapery rod in their apartment at 1735 N. Wilcox Ave., less than a block north of Hollywood Boulevard, on June 1, 1941. She was found with a brightly colored sash around her neck and her dog, Sonny, barking at her feet. Her body was found by her aunt, who told investigators that Jennie was still depressed about the injuries she had suffered in the car accident. "The doctors didn't do me any favor by saving my life," she quoted Jennie as saying. Jennie was 48. At the time of their mother's death, Manzi was at the beach, while Clarika was rehearsing a dance routine at the Earl Carroll Theatre. Funeral services for Jennie Dolly were held at Forest Lawn Memorial Park in Glendale, Calif., where her body was cremated and placed in the cemetery's Great Mausoleum. The family requested a small service, and an estimated 75 people attended, including Sophie Tucker, Gracie Allen and Fanny Brice. Jennie's coffin was covered by a blanket of pink roses, interwoven with lilies of the valley. Jennie's husband remained in Chicago, too ill to attend the services. Rosie's third husband, Irving Netcher, died in 1953. Rosie attempted suicide in 1962 by taking an overdose of sleeping pills, but she survived. She died in Manhattan of a heart attack on Feb. 1, 1970, at the age of 77. Rosie's body was brought back to California, and she's interred with her sister. 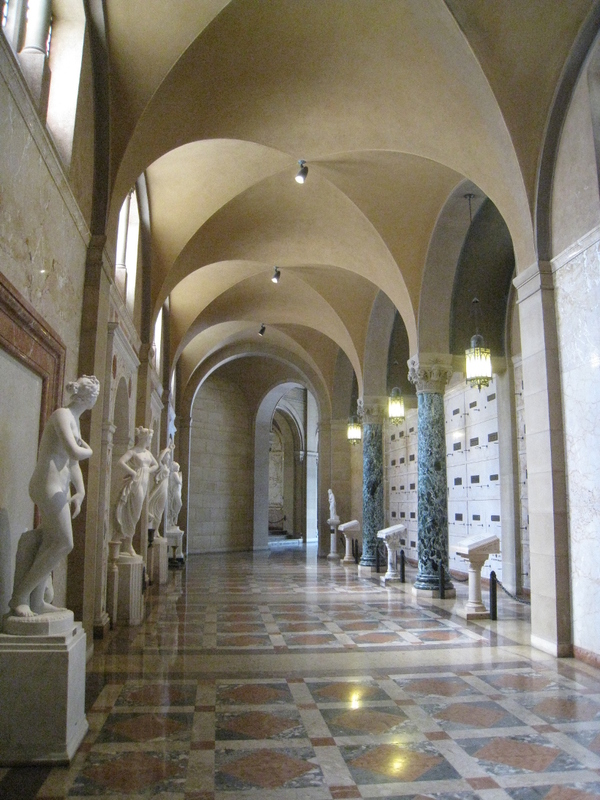 The Dolly Sisters' final resting place, topped by a life-sized statue, is located in one of the few areas of the Great Mausoleum where the general public can actually visit. They're located in the long hallway between the Memorial Terrace Entrance and the "Last Supper" stained-glass window. Jennie's second husband, Bernard Vinissky, died in Chicago on Feb. 1, 1968. Interred with the Dolly Sisters is Edward Dolly (1898-1956), who was presented as their brother, but was more likely a cousin or some other relative. 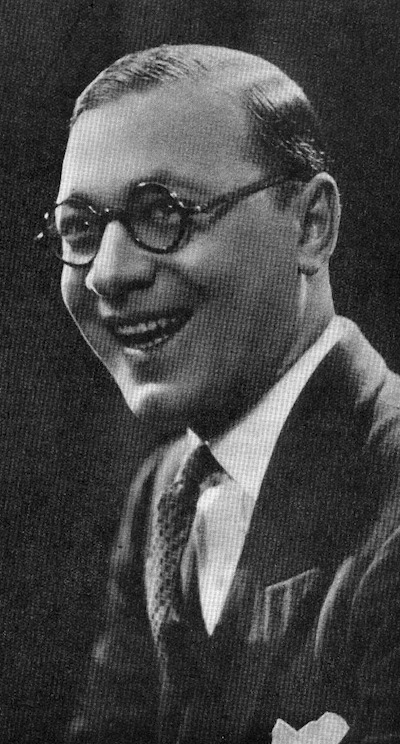 Edward Dolly was a dancer and choreographer, and worked with the Dolly Sisters as well as London theatrical producers. 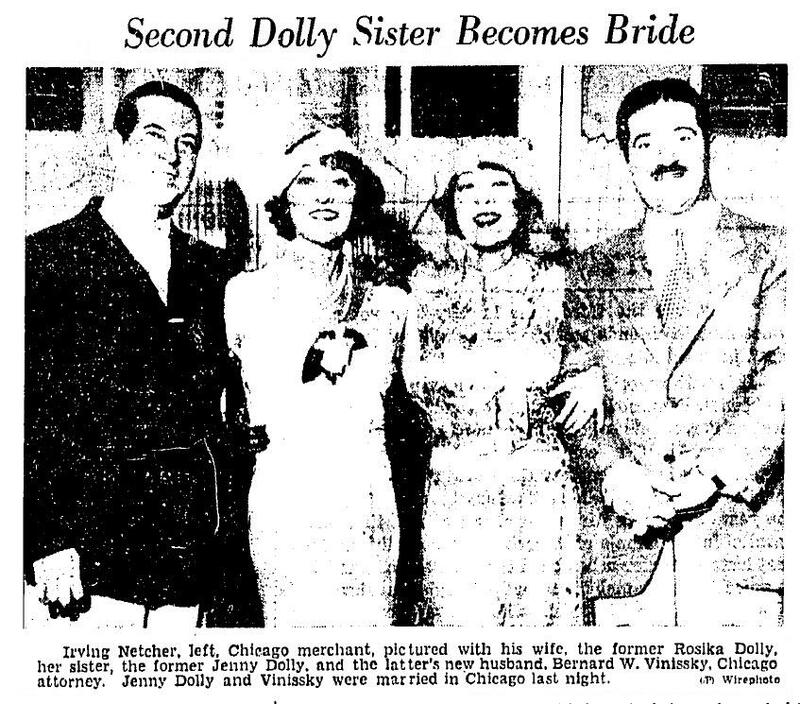 There are also some questions about exactly when the Dolly Sisters were born. Most sources and historical documents state that they were born on Oct. 25, 1892, in Budapest. Jennie's passport application in 1922 lists her birth date as Oct. 25, 1894. And, according to their memorial plaque, they were born in 1897.